The JANSEN team of engineering professionals has established a reputation for unmatched technical expertise in the field of biomass, waste-to-energy, and chemical recovery boilers. 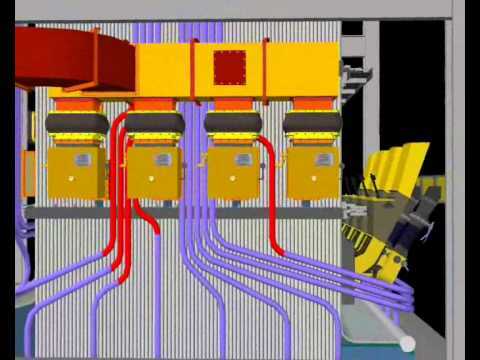 Steam and Power Generation from Biomass and Boiler Fuel Conversions to Burning Biomass. Emissions review of boiler performance in light of new Boiler MACT and CISWI regulations. Make an assessment of boiler waste fuel burning capacity, efficiency, fuel economy, and emissions performance with an engineering evaluation by JANSEN. Increase boiler waste fuel burning capacity and efficiency and improve fuel economy and emissions performance with a combustion system upgrade by JANSEN. Increase black liquor burning capacity and improve emissions performance of recovery boilers with a combustion air system upgrade by JANSEN. Replace or modify superheater surface to increase steam temperature and in-house power generation. Industry experts and technical expertise in the field of biomass, waste-to-energy, & chemical recovery boilers. Jansen Combustion and Boiler Technologies, Inc. has the capability to function as your one-source solution to boiler retrofit projects. With the ability to define, engineer, contract and manage design-construct projects, we offer full service Engineer-Procure-Construct (EPC) capabilities. In addition, we provide a broad range of highly technical and specialized services. An overview of Project Capabilities, categorized by the nature of typical JANSEN projects, is available to our visitors. Each Project Capability sheet provides a synopsis describing the need for the project, typical scope of service, as well as references where the service was provided. For your review, we have provided Project Description information for many specific design/supply and EPC boiler upgrade projects by JANSEN. These Project Descriptions include biomass, chemical recovery, as well as MSW/RDF boiler combustion system and superheater upgrade projects. Efficient combustion systems for biomass and waste-to-energy boilers increases the use of renewable energy sources and reduces carbon dioxide produced from burning fossil fuels. Fossil fuel burning is greatly reduced by JANSEN or altogether eliminated.